I’ve just finished reading this book yesterday night on the bus back home. I must say I quite like this book. 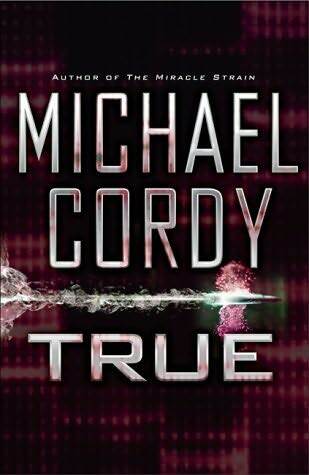 Michael Cordy is now one of my favourite authors. I have never disliked any of the books he wrote. I’ve read The Miracle Strain, as well as many other books including the Lucifer Code. I’ve had problems finding The Venus Conspiracy in the Library. True is about this drug that a scientist has created that can make you love someone. You just need that person’s DNA and you can make a drug that when injected onto yourself, will make you love the person wholeheartedly. The scientist believed it was good for mankind and it is the cure for divorce. However, when he tried to get funding from a small swiss bank, the owners of the bank are actually the swiss mafia. These gangsters exploited his technology to their advantage and even killed the scientist. Read the story to find out who wins in the end. It is definitely an interesting read. Posted on June 27, 2007 by ignorantsoup	This entry was posted in Books. Bookmark the permalink. I might wanna inform you that The Venus Conspiracy is the new title for True. Haha. Yeah I happen to know that the day after I posted this up. Went to library to search for The Venus Conspiracy when it wrote there also published as true..Lol…Similar to The Messiah Code and The Miracle Strain..Did you happen to read this book too? Nope, i find myself not reading when i haf other alternatives. Then you actually went to seach online to find out that true = venus conspiracy? yes. i juz went to check out wads his stories abt.